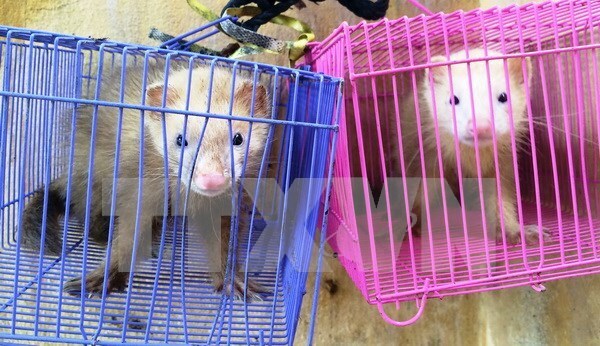 Hanoi (VNA) – Vietnam has suspended commercial trade in specimens of species listed in the Convention on International Trade in Endangered Species of Wild Fauna and Flora (CITES) with Laos . The Vietnam Administration of Forestry (VNFOREST) on February 18 dispatched a document to involved organisations and individuals on the suspension of granting CITES certificates and permits. Accordingly, the Vietnam CITES management authority temporarily stops granting CITES certificates to the export, re-export and import of specimens of CITES-listed species to and from Laos for commercial purposes from February 11 until further notice. Those concerned can get more information by contacting the hotline 04.37335676.